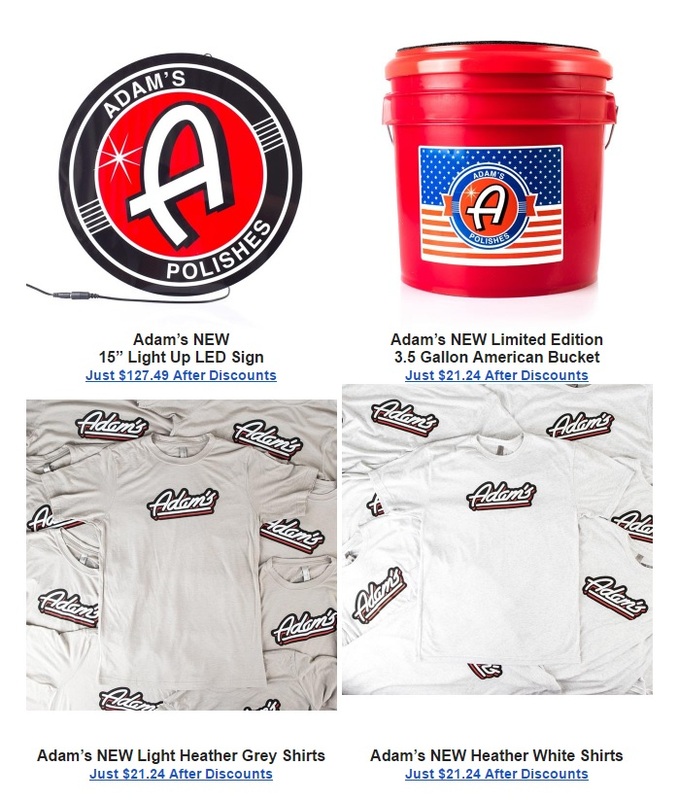 Adam's 4th of July Sale Starts Now! 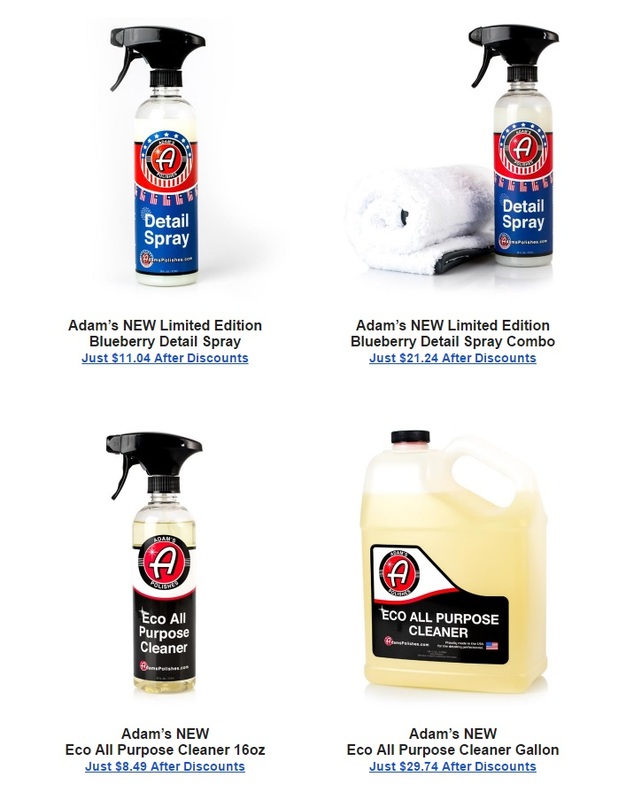 Celebrate 4th of July with an explosion of new products and updates to old favorites at AdamsPolishes.com! We're excited to launch our new Eco All Purpose Cleaner - stronger cleaner and safer for you and the environment! 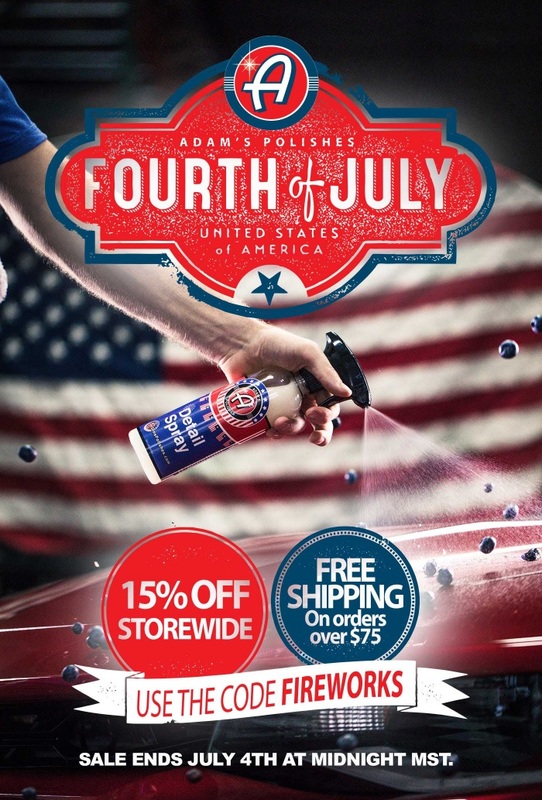 Check out our Limited Edition Blueberry Patriotic Detail Spray too - sorry no gallons on this one and limit 10 per customer per order. We also have new hats, shirts, bottle koozies, patriotic buckets, air fresheners (blueberry and cran-orange), and the big surprise - our 15" LED lighted logo garage signs. You may have seen me post a few pictures of this bad boy on my social media, that I was lucky enough to score one of the last few we had from our first very limited run that we did as giveaways about 6 months ago, but now they're finally available for purchase! Use the code FIREWORKS for 15% off of your order total, plus we're doing free shipping on orders over $75 to the continental U.S. only. This sale is going until July 4th at Midnight MST! CLICK HERE TO CHECK OUT ALL OF THE NEW ITEMS NOW! Last edited by AdamsPolishes; 07-04-2017 at 03:15 PM. Happy 4th everyone! I hope you are enjoying it with friends and family! This is a quick reminder that this sale does end tonight at Midnight Mountain Time!